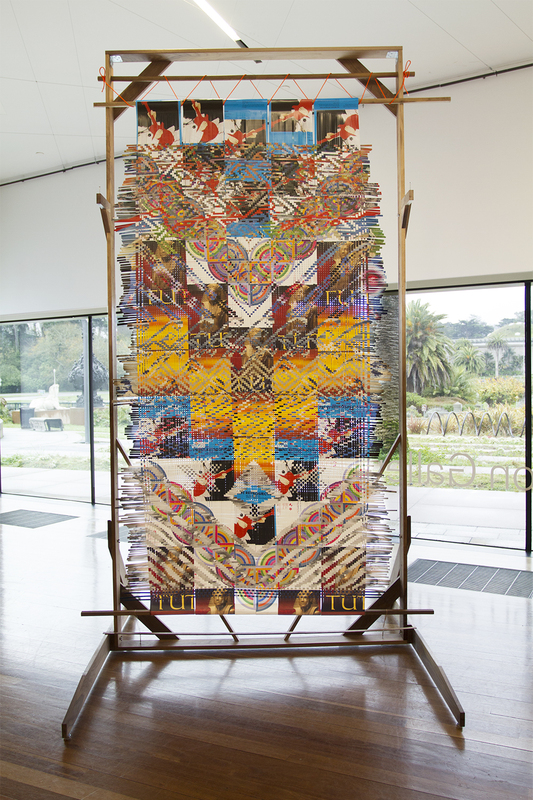 Installation View, deYoung Museum, San Francisco, CA. 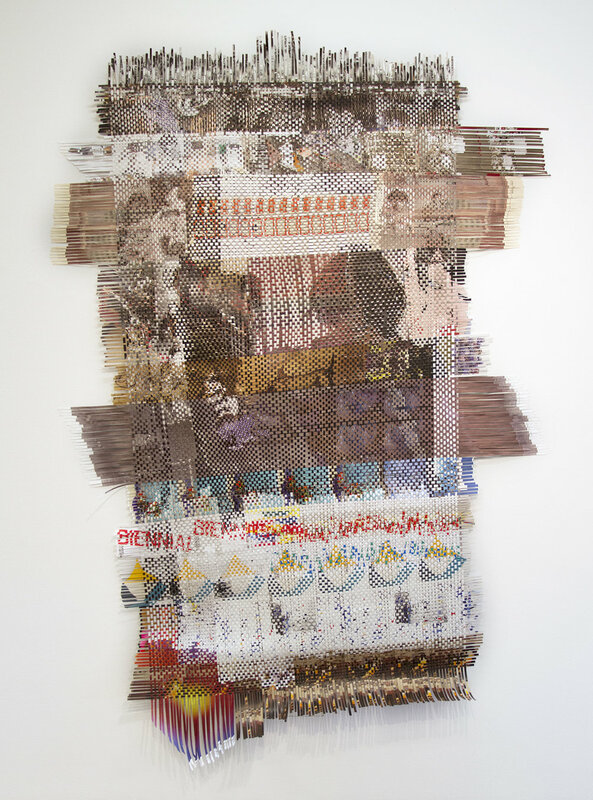 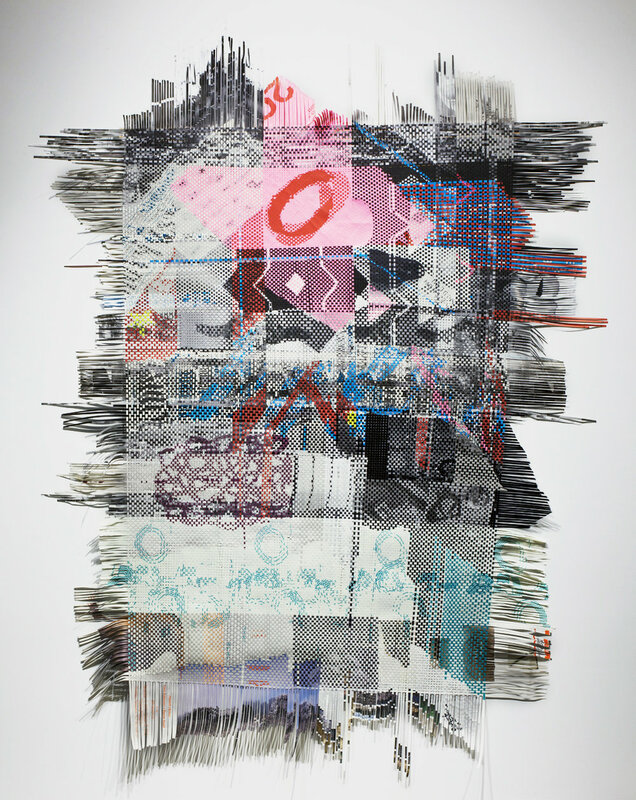 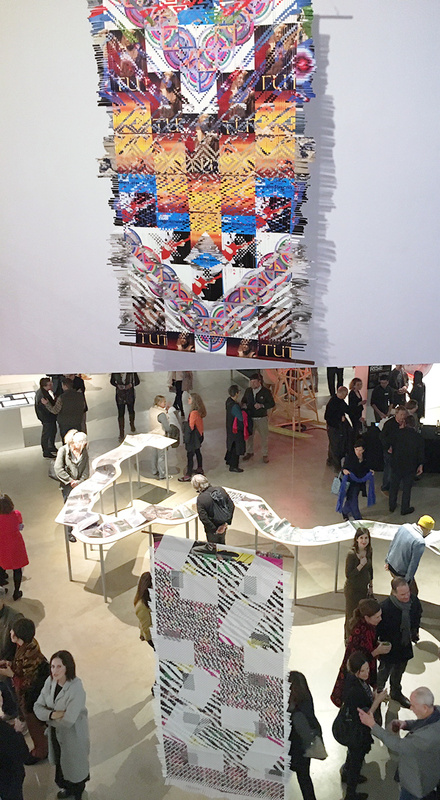 Last Weaving, 2018, paper ephemera from art exhibitions, 100 x 65 in. 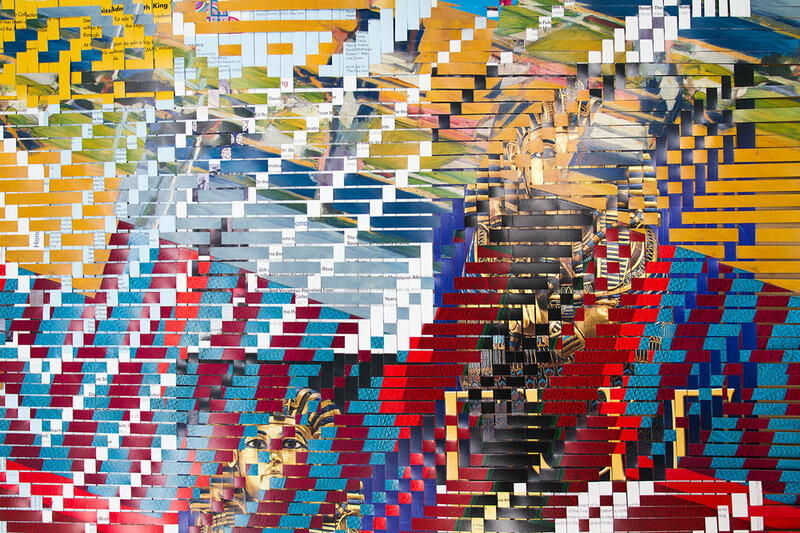 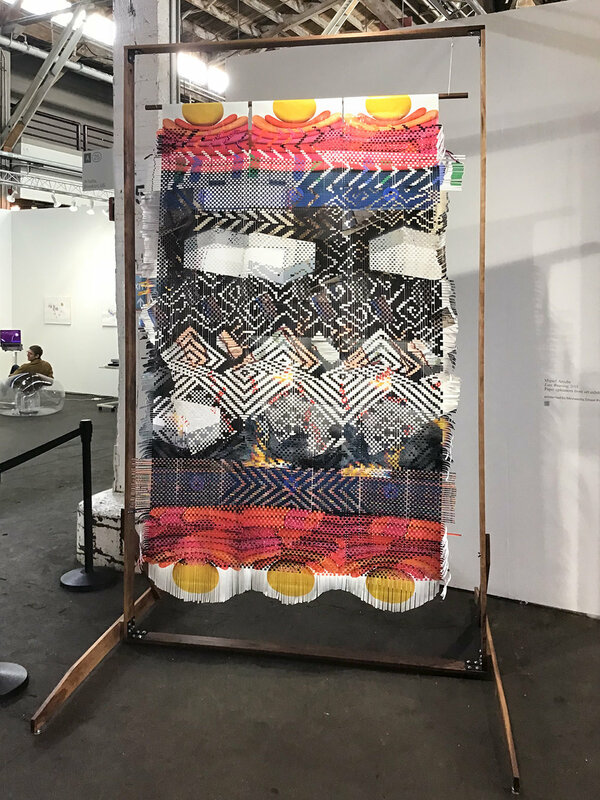 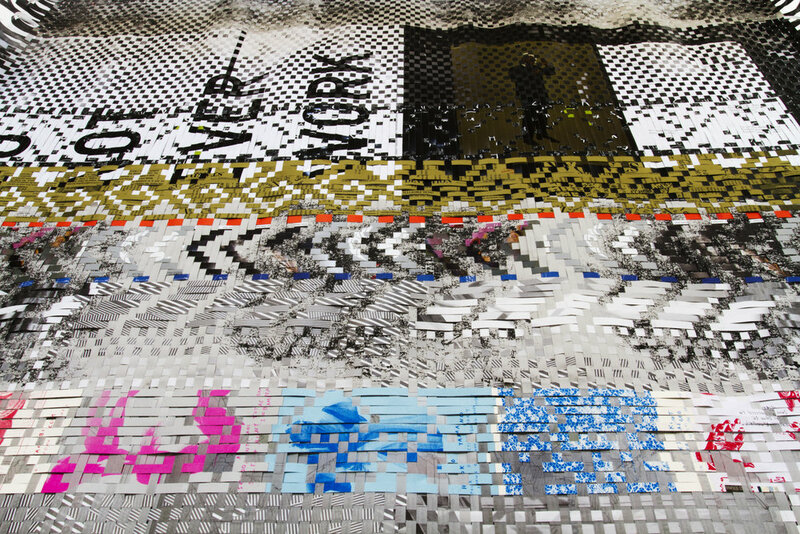 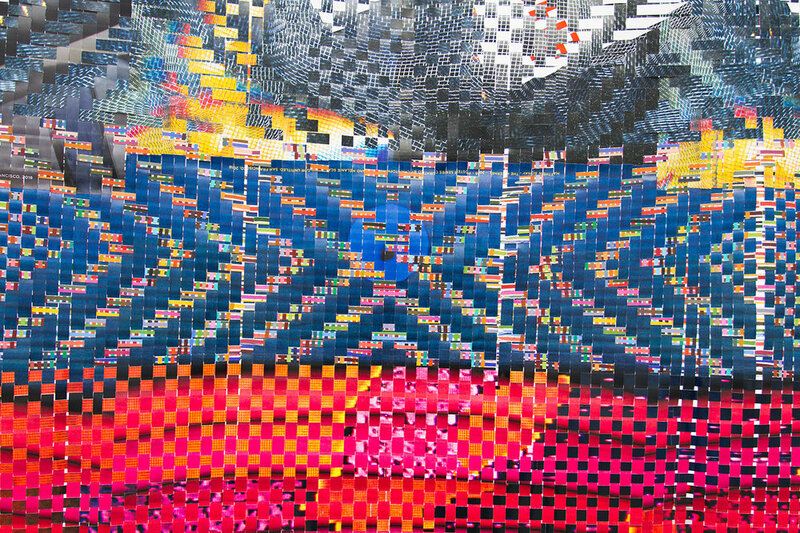 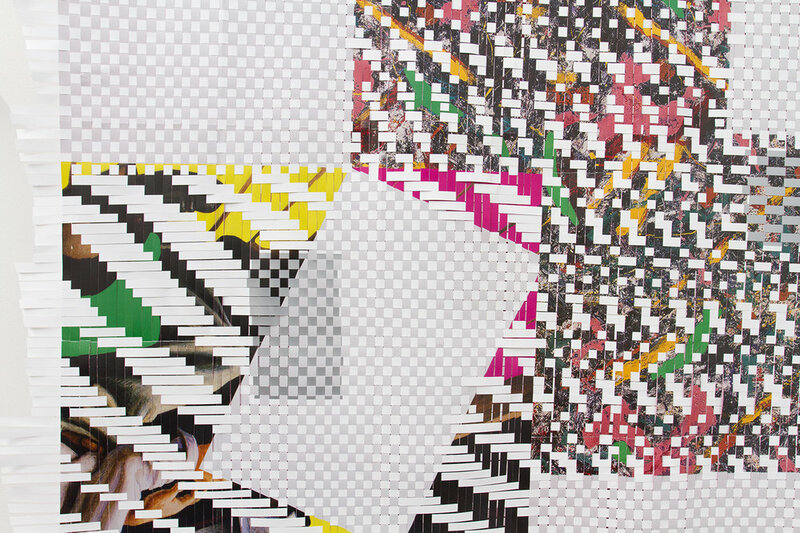 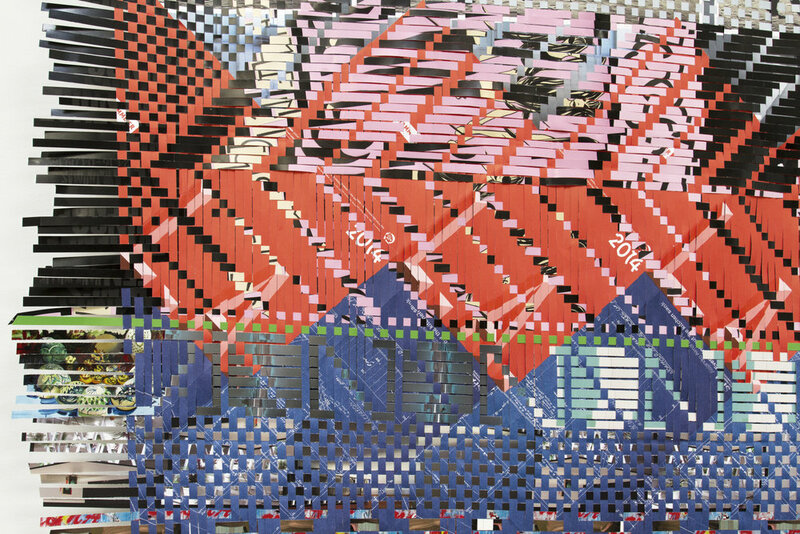 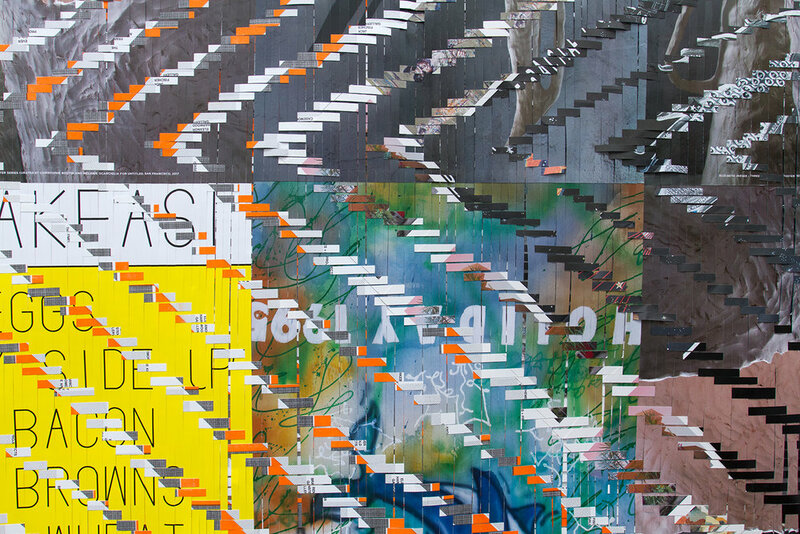 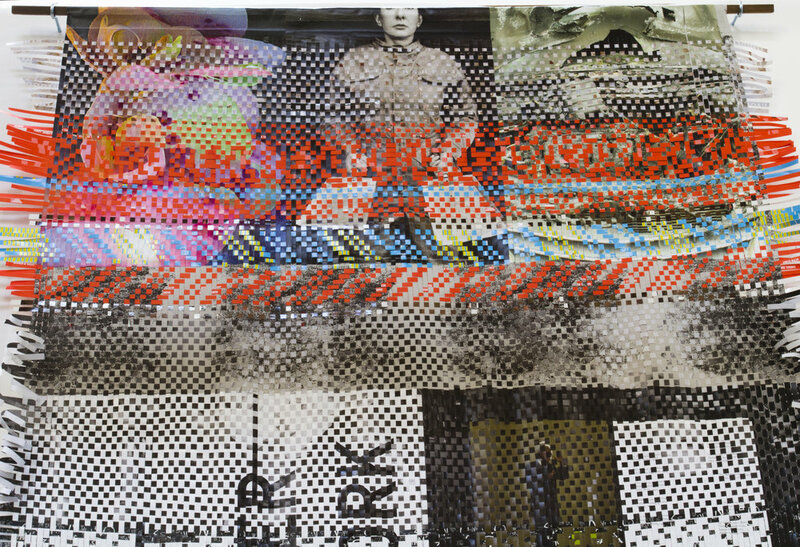 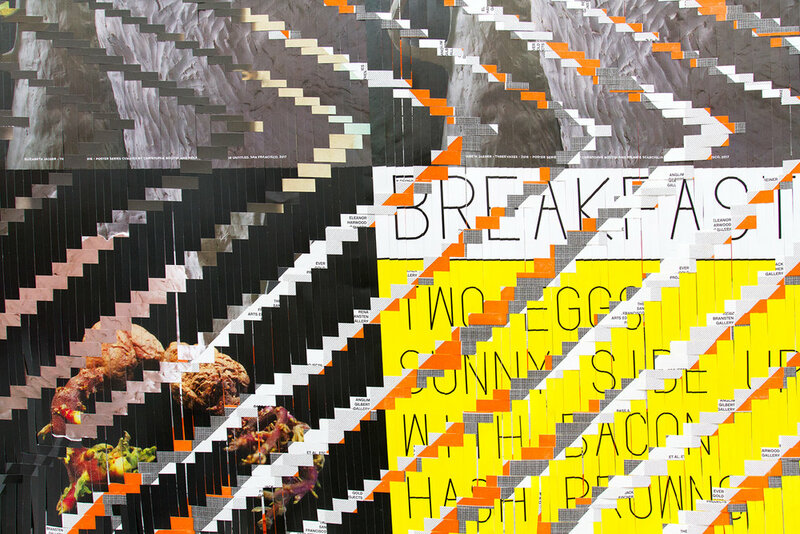 Miguel Arzabe's large-scale weavings are made from paper ephemera—posters, flyers, hand-outs—collected from art exhibitions. 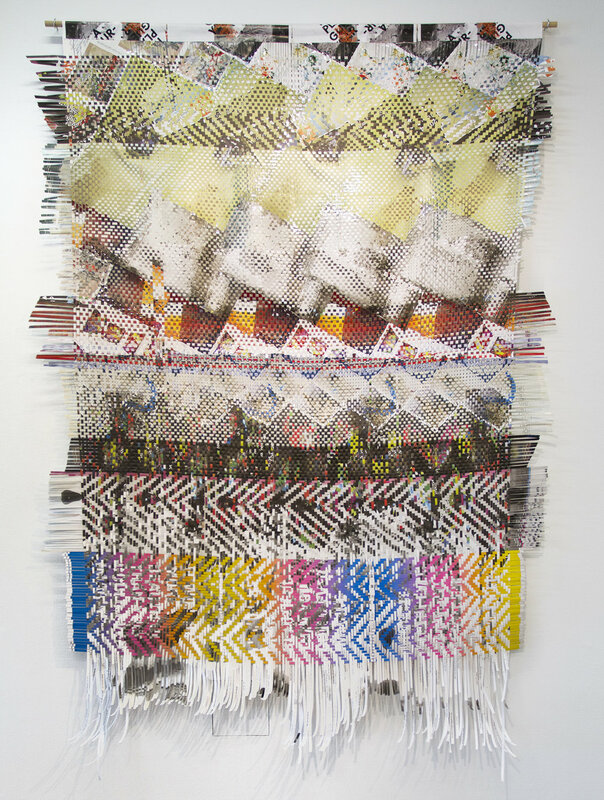 Drawing inspiration from both the traditions of indigenous textiles and modernist abstract painting, Arzabe's weavings are physical archives of cultural output and raise questions of authorship, labor, and how value is created.